The Sno-Eagles Snowmobile Club of Eagle River is accepting applications for Miss Sno-Eagle for 2019-2020. Being Miss Sno-Eagle provides an opportunity to become involved with the community and to represent the Sno-Eagles and snowmobiling at area events throughout the year including the 2020 World Championship Snowmobile Derby. 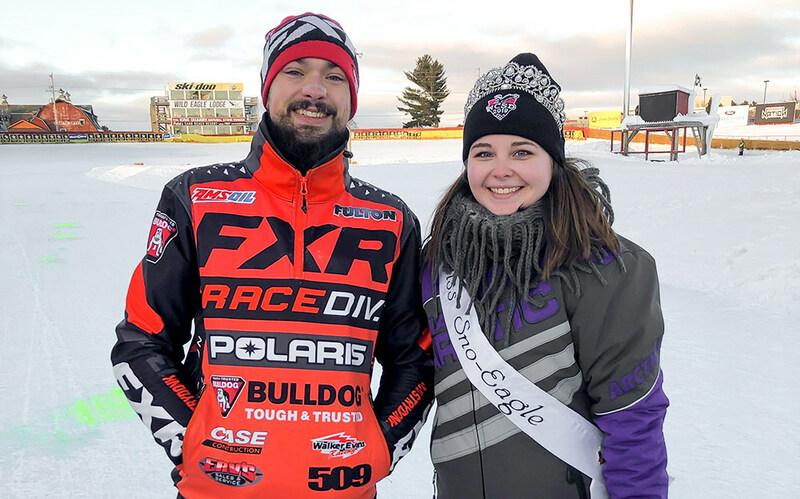 Miss Sno-Eagle must be able to attend at least two Sno-Eagles club meetings, one Sno-Eagles board of directors meeting, participate in at least one Sno-Eagles fundraising event, participate in the 4th of July parade riding on the Sno-Eagles float, and participate in the World Championship Snowmobile Derby January 17-19, 2020. Applications must be received by May 1, 2019. Interviews will be conducted May 7 and May 9 or by appointment. Applicants must be 16-21 years of age. A photo and a letter of recommendation from a teacher, employer, church, or community leader is required. Applicants can apply for Miss Sno-Eagle or the Derby Queen, but not both. For questions, contact Carole Linn at 715-479-6873 or email here or Cheryl Wolf at 262-443-0127 or email here.